Coverage: Watch live on BBC Red Button, the BBC Sport website and the BBC Sport app from 09:10-13:00 GMT. Watch highlights on BBC Two from 15:50-16:50. Team captain Andrew Butchart hopes to help Great Britain top the medal table at the European Cross Country Championships for a 14th year in a row. Butchart, who was sixth in the 5,000m at the Olympics, heads the men's team of six in Sardinia on Sunday. The 25-year-old Scot said: "We are here to win as individuals and as a team. If I can get a medal for the team, I would be over the moon. "Britain has topped the medal table for 13 years. We hope to do that again." Callum Hawkins, who came second to Butchart at last month's trials, and 2013 European bronze medallist Andy Vernon are also in the men's team. 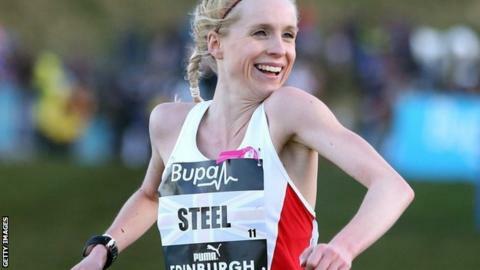 Former European champion Gemma Steel heads the women's squad, who are seeking to win a third senior team title in a row. Meanwhile, under-23 champion Jonny Davies looks to repeat his victory in France 12 months ago.